- Healthy recipes with white sugar and white flour alternatives! - Plenty of toning, refreshing, and cleansing smoothie recipes! - Detoxing and strengthening aromatic herbal blends! 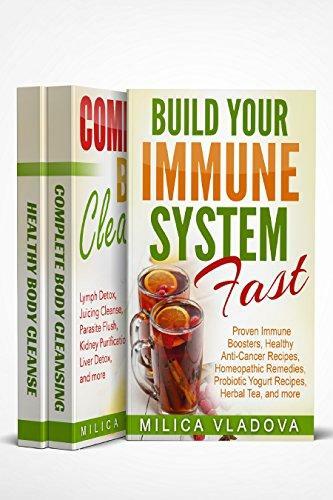 - Loads of delicious immune boosting recipes and remedies. - Simple weekly, monthly, and annual detox rituals to help you boost your energy, lose weight naturally, fight chronic fatigue, and prevent from diseases. - How to purify your system without starving? - How to deeply detox and heal your colon, liver, kidneys, lungs, lymph, and more? - How to naturally get rid of parasites? - Healthy gut - healthy you! How to take care of our beneficial colon bacteria? - Natural probiotics and prebiotics - how to make them at home with natural ingredients? - Adaptogens - the key to dealing with stress, infertility and building our strong immunity. 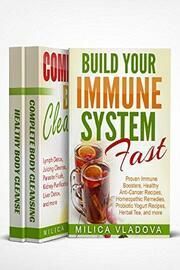 - Natural ways and systems to prevent, stop, and heal from cancer cell formation. - The best herbs, essential oils and homeopathic remedies to prevent from diseases, viruses, fungi, and bacteria. Invest in your health, rejuvenation, beauty, and longevity with these powerful recipes, guidelines, exercises, and practices!